Returning to work after having a baby is often a difficult time for any mom. If a mom does not believe she will be supported by her employer or child care provider, she may decide not to breastfeed, or may stop breastfeeding early. Child care providers play a critical role in supporting moms to achieve their breastfeeding goals. Moms: Finding a breastfeeding friendly child care provider can make a big difference in breastfeeding success. Click here for the COBFC how to find a breastfeeding friendly provider sheet. Click here for tips on starting your breastfed baby in child care. Child Care Providers: Being breastfeeding friendly will help you to better support your moms and improve the health and wellbeing of the children in your care. Click here for the Colorado Breastfeeding in Child Care Toolkit – two versions are available, one for licensed centers and one for family child care homes. Click here to learn about becoming a Breastfeeding Friendly designated child care provider. Click here for provider resources, including videos. The Transportation Security Administration (TSA) has revised previous guidelines regarding breast milk. Breast milk is considered in the same category as liquid medication as long as it is declared for inspection at the security checkpoint. Travelers are allowed to bring breast pumps and breast milk, formula, juice and food for babies and toddlers that exceeds the TSA’s 3 ounce limit for liquids in carry-on luggage. The 2016 BABES Act (Bottles and Breastfeeding Equipment Screening Act) requires TSA to better accommodate parents traveling with breast milk, infant food and feeding equipment by requiring ongoing training of TSA officers to make certain policies and procedures are consistently followed. A big thanks to our friends at the United States Breastfeeding Committee (USBC) who sponsored the bill! To learn more visit, Traveling with Children: formula, Breast Milk and Juice. Always try to remove milk completely from both breasts at each feeding or pumping session. Feed often, as much as baby wants. When together, a mom should feed her baby directly at the breast to maintain her supply and provide additional benefits. When away from her baby, a mom should pump or express milk as often as her baby usually eats (or at least every 3-4 hours) to maintain supply. Learn how to manually express breast milk and breast massage techniques. Ask a lactation professional for advice or tips on expressing/pumping and keeping your milk supply strong. Breast massage is an effective way to increase milk production and improve the output of milk during a pumping session. Click here for resources on breast massage techniques. WIC – The Special Supplemental Nutrition Program for Women, Infants, and Children (WIC) is a nutrition program that provides breastfeeding support, including breast pumps, as well as nutritious groceries, nutrition education and other services FREE of charge to Colorado families who qualify. WIC’s goal is to keep pregnant and breastfeeding women and children under age 5 healthy. Low income families, regardless of legal status, may be eligible for WIC. All Medicaid families can enroll in WIC. Contact WIC directly, click here for eligibility information or here to find the clinic closest to you. Moms with Medicaid, contact your local WIC agency to receive support and local resources. anywhere that you have the right to be. Swimming is fine for breastfeeding moms and is great postpartum exercise. In compliance with Colorado law, a person may breastfeed a child at a swimming pool or deck area at their discretion. 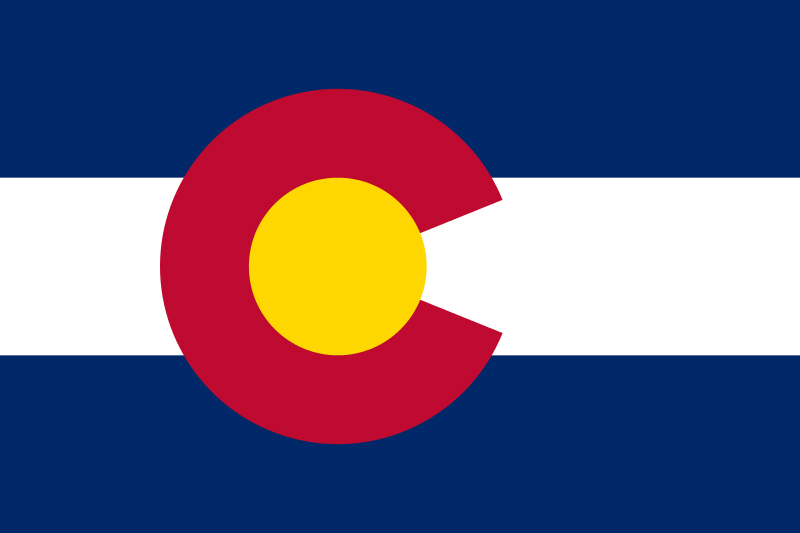 For more information on Colorado breastfeeding laws, click here. Mothers’ Milk Bank (MMB) in Arvada, Colorado collects, screens, processes and provides donor human milk to babies across the country. Babies who receive donor human milk may be premature or have severe illnesses and need human milk to thrive. As the largest milk bank in North America, MMB consistently provides more milk to NICUs and adheres to the strict guidelines of the Human Milk Banking Association of North America (HMBANA). Do you produce milk in excess of your own baby’s needs? If so, consider donating to Mothers’ Milk Bank. Your extra milk could help babies in NICUs all over the country. Just one ounce of milk can feed a micro preemie for an entire day! To become a milk donor visit http://rmchildren.org/mothers-milk-bank/donate-milk/. Getting breastfeeding help, especially in the early days of nursing, is very important. Breastfeeding can be a challenge. A lactation consultant, a peer counselor, or breastfeeding support group can provide essential help and encouragement any time it is needed throughout your breastfeeding journey. We encourage you seek help for any breastfeeding concerns. Insurance coverage is a frequent question and concern for families. The National Womens Law Center has a guide on Understanding Health Coverage of Breastfeeding Support and Supplies. Moms with Medicaid, contact your local WIC agency to receive support and local resources. Do you need this medication right now or is it something that can wait until your child is older? How old is your child and are they healthy? Premature babies, newborns and those with health problems may be at more risk from certain medications. How much breast milk is your baby getting and when do you take the medication? Medication amounts in breast milk can vary depending on the amount of milk you produce and when you last took the medication. Avoid medications known to affect milk production. Temporarily weaning your baby for a medication comes with a risk to both the mother’s milk supply and returning your baby to the breast after the medication is stopped. There are known risks of formula feeding. The American Academy of Pediatrics says that mothers who are breastfeeding their babies should not use marijuana. Tetrahydrocannabinol (THC) is the chemical in marijuana that makes you feel “high.” THC in marijuana, regardless of whether it is smoked, vaped, or eaten, can get into breast milk and may affect your baby. Because THC is stored in body fat, it stays in your body for a long time. A baby’s brain and body are made with a lot of fat. Since your baby’s brain and body may store THC for a long time, you should not use marijuana while you are pregnant or breastfeeding. Breast milk also contains a lot of fat. This means that “pumping and dumping” your breast milk does not work the same way it does with alcohol. Alcohol is not stored in fat, so it leaves your body faster. For more information visit the Colorado Department of Public Health and Environment or check out the information fact sheet, Marijuana and Your Baby. In late April, 2006, the World Health Organization (WHO) released long-awaited new growth charts for breastfed children. Based on careful studies of breastfed babies living under “ideal” conditions in several countries, WHO determined breastfed babies grow at similar rates and this growth pattern is the ideal. The new standards are based on the breastfed child as the norm for growth and development. This brings coherence for the first time between the tools used to assess growth and national and international infant feeding guidelines, which recommend breastfeeding as the optimal source of nutrition during infancy. These growth charts now allow accurate assessment, measurement and evaluation of breastfeeding and complementary feeding.